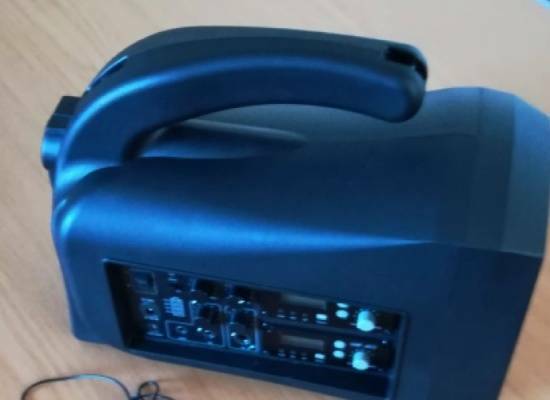 The portable sound system is a safe and sound product (SASP) GPA 5 Series and, in addition to the speaker, offers three individual neck set receivers for the hard of hearing; two with hearing aid loop. The headphone mic also allows maximum movement for the presenter. No more struggling to hear a quiet speaker at your event or having to bring your own equipment! The 4G wireless internet is particularly exciting as, for the first time, it can be accessed anywhere in the building and should not freeze or overload as the old landline service did. There was nothing more annoying than doing something online and getting locked out because of capacity overload. This project was funded by (or funded in part by) a grant from The Wroughton Community Trust. We are incredibly grateful to the Wroughton Community Trust for providing the grant which enables us to enjoy 4G access at Legge House. Thank you!